I was born in 1960 and came of age in Britain at a time when notions of my identity were being heavily contested. What does it mean to come of age in a country where a significant number of its citizens, from Thatcher (who was then leader of the opposition) to street goons, express a deep sense of ambivalence about the value of your presence? Your very existence is regarded not as a fact of being but as a justification for all sorts of vile anti-immigrant sentiment as well as a justification for violence enacted against black people. This is the wider context that a number of us were coming of age in and I think the art we made reflected a lot of these issues. Not only the assault on our Britishness but also the ways in which we were looking for substitutes to shore up our identity. The strategy we enacted was one of solidarity. 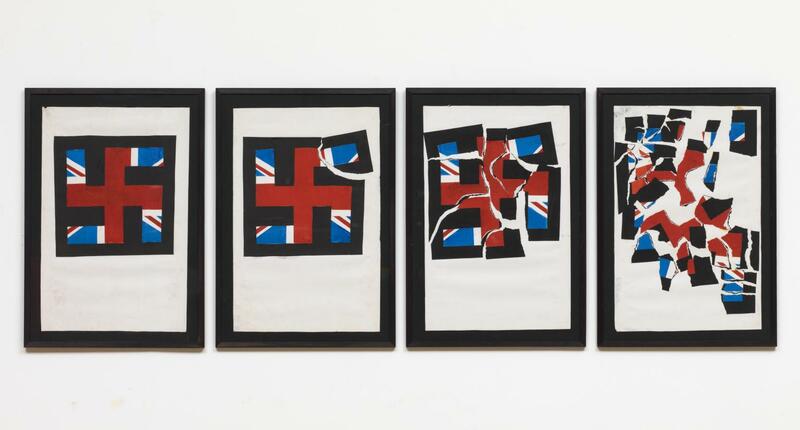 The continuing existence of apartheid, for example, the violence of the state in terms of police – these are subjects that black artists in the 1980s were taking up. Look at the work of someone like Tam Joseph. The Freedom of the Carnival screenprint is an extraordinary work, made in the early 1980s, talking about the police numbers at Notting Hill Carnival and the police brutality that flowed from that. White society had little to no interest in these things, so the artists became commentators for the wider demographic. They were not just artists for themselves. They made art with which they sought to communicate to wider audiences. The self-organising aspect was always central to what we were doing. As black artists, we had to do things for ourselves. We had to be our own critics, writing about each other’s work, we had to be our own exhibition organisers, our own historians in many respects. Clearly the wider structures that are there had not been interested in embracing or acknowledging these artists. So how do you respond to that? What we did was say, well we’re going to do things ourselves. It’s this sense of self-initiating projects that I think much of the activity of the early to mid-1980s rests on. I have a tape of poetry by Frederick Williams. It was a low-budget thing. He was just making tapes at his gigs, not waiting for a record contract. The DIY aesthetic was very dominant. I think there was something about the cultural moment of the 1970s that gave rise to the expression of the 1980s, not only in art but in the ways that people related to each other too. You think about the ways in which black people identified in the aftermath of the New Cross fire [when a number of black youngsters were killed in an arson attack on a party, which was initially thought to have been a racist attack]. I’m talking about the Black People’s Day of Action. I’m talking about Johnny Osbourne recording 13 Dead and Nothing Said with Aswad. These are very particular manifestations of empathy. I very much doubt that the same degree of human empathy would exist at the present time. By the time we come to the 1990s, something very different begins to emerge. We see the infrastructure of government sort of press-ganged into supporting multiculturalism and this is a fundamental change that takes place. The language of black people is courted by the state. The language of societal advancement, integration, cultural identity. The state takes over this language. ‘Co-opt’ is probably too judgmental a word – but there is an aspect in this of the co-opting of black British art. The state becomes very willing, or very anxious even, to reach out and draw in the activities of black people and black artists as a motif of its own diversity. But black artists themselves are always playing catch up in a game they can never control. It’s important to keep in mind how the dominant culture is always enacting strategies for ignoring black artists. Whether it’s bringing in artists from abroad to fulfill its cultural diversity quota. Whether it’s reaching for the work of dead artists to fulfill its diversity quota. It seems to me that the latest strategy for displacing contemporary black British artists is a kind of fetishisation of the black British artists of the 1980s. The fetishisation of people like me! This is a massive blow to the rights of ordinary kids to have the same opportunities as their more privileged peers. Danielle Child reports.